Posted July 2, 2018 by Riley Hooper & filed under Arts & Entertainment, Exhibitions, Gallery & Museums, Kids. 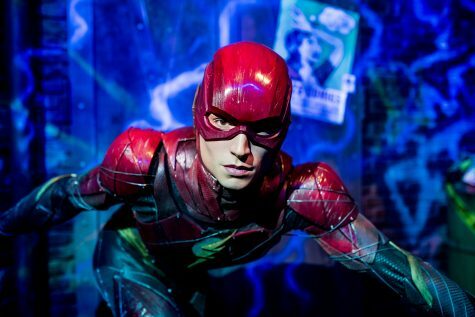 Madame Tussauds Sydney has become home to a new unique immersive experience uniting an all-star cast of Justice League characters. The interactive wax figure line-up includes Gal Gadot as Wonder Woman, Henry Cavill as Superman, Ben Affleck as Batman and Ezra Miller as The Flash. The experience begins as you weave through the classic themed rooms of the world-famous attraction starting with Australian history, world leaders and politicians, sports legends, MTV music and the making of Madame Tussauds where you can see up close in parts how the amazing and freakishly life-like figures are made. Continuing through is fashion, TV stars, the Marvel Super Heroes, movies and a party room full of greats. Amongst this is the action-packed Justice League adventure. The experience allows guests to star alongside their favourite heroes as an experiment with technology of Lex Luther’s causes havoc on the streets of Gotham. Completing missions to save the world guests lift a helicopter with Superman, blast LexCorp’s tech into smithereens with Wonder Woman, summon Batman and run max speed alongside The Flash. Together, Warner Bros. Consumer Products on behalf of DC Super Heroes and Madame Tussauds have created a fun and unique experience with plenty of fun photo opportunities for everyone. The costumes on the wax figures alone are worth the look but unlike the other themes that feature small props, A Call for Heroes is full of lasers, lights, dramatic sounds, fog, props and more, making it easy to unleash the inner wannabe super hero.